It’s summertime, and after a long year of drinking cheap beer and subpar mixed drinks, it’s time to indulge in some yummy and totally cute summer cocktails. How can a cocktail be cute? If it’s pink, of course—which is why we’ve made a list of some elegant AF rosé cocktails for you and your friends to sip on this summer. If you’re not at all a bartender, this drink is perfect for you. It only has three required ingredients and is perfect to share with friends poolside. Mix together the three liquids in a pitcher over ice. If you’re feeling particularly boujee, cut up some lemon slices and throw them on in, too. Fan of a classic mojito? You’ll love this pink twist. 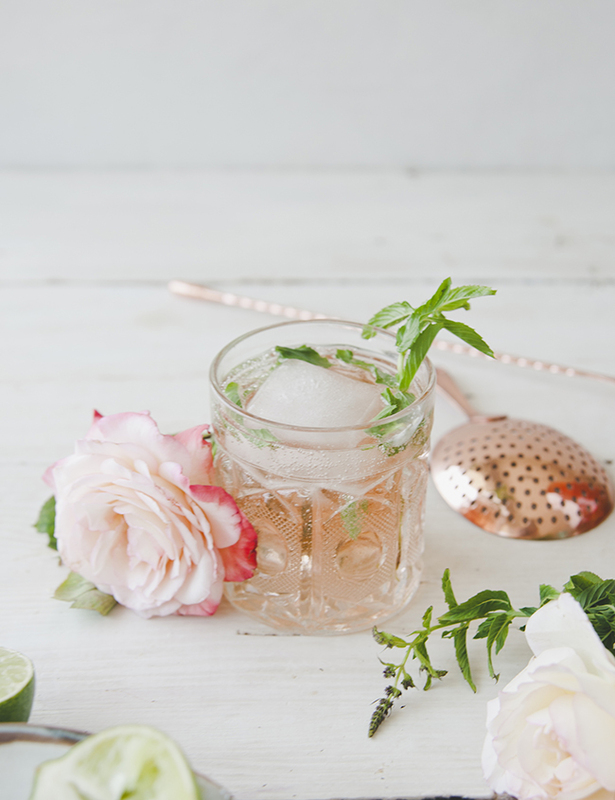 Refreshing mint is perfect for the summer heat and rosé adds a daintier touch. Muddle (as in mash up) the mint and rose syrup at the bottom of the glass. If you don’t want the rose taste (or just don’t want to go out and find rose syrup), simple syrup works. Add ice and mix in the rosé and lime juice. Make it pretty with some sprigs of mint on top. A fizzy, flirty drink is just what summer calls for and we have you covered with this simple and refreshing concoction. 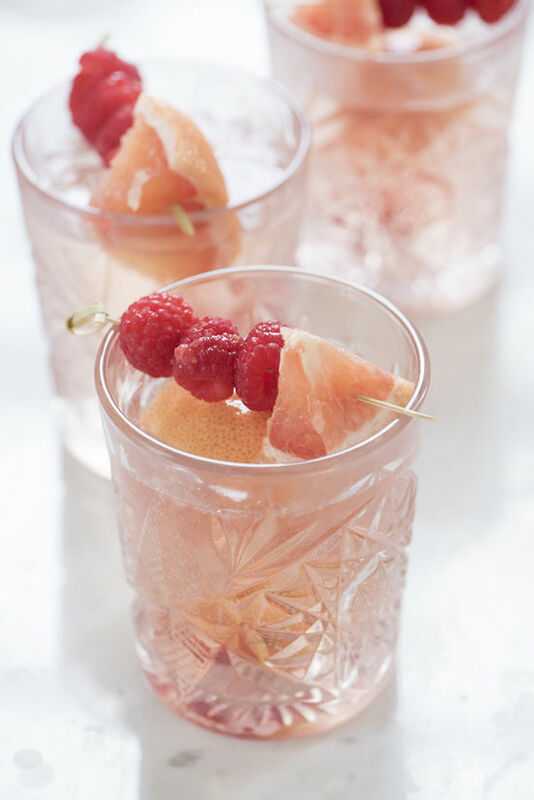 For each glass, add ice to about 4 ounces of rosé, about 3 ounces of the La Croix, 2 tablespoons fresh grapefruit juice and mix. Then, throw in some fruit, like raspberries or strawberries, for garnish. Voilà! A pretty pink cocktail. For fruity, flirty perfection, look no further than a spin on a basic girl’s favorite drink: sangria. With a whole pitcher of this Instagram-worthy drink, there’s enough for everyone. Add the wine, vodka and half of the strawberries to your pitcher, and mix. If you like drinks on the sweeter side, add the sugar here too. Refrigerate for two to six hours. When you’re ready to serve, add the lemon-lime soda and remaining strawberries and pour into glasses over ice. We think we can all appreciate the clever name of this drink as much as we can appreciate an ice cold, frozen drink in the summer. This one’s a bit more complicated, but definitely worth it. Freeze the rosé in ice cube trays overnight. Make a watermelon syrup by mixing 1/2 a cup of watermelon juice with the sugar. Blend the frozen rosé cubes, watermelon syrup, remaining 1/2 cup watermelon juice and lime juice in a blender until it’s like a slushy. Add additional ice or watermelon juice if necessary to get the right consistency. 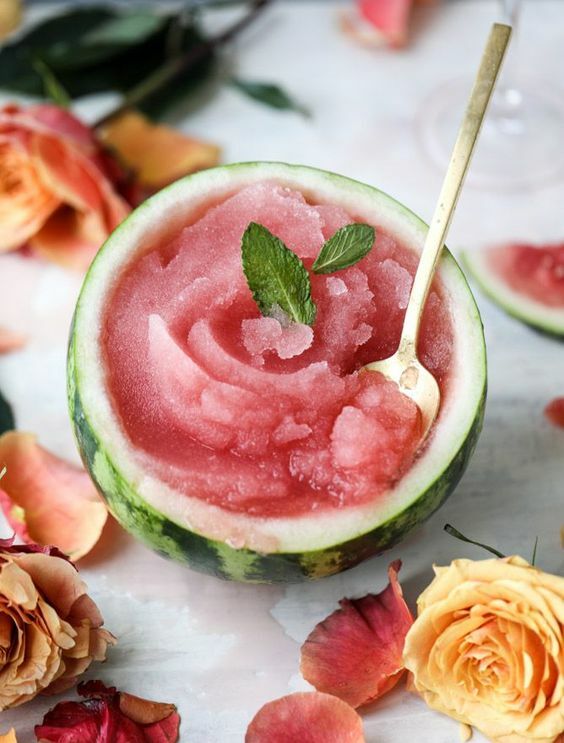 Scoop it into glasses and garnish with watermelon slices. Make any of these pretty in pink drinks to up your cocktail and Instagram game this summer. Enjoy responsibly, ladies!